PT Lotte Chemical Titan Tbk (LCT) was established in 1986. Its subsidiary, PT Lotte Chemical Titan Nusantara (LCTN) in sthe first and largest Polyethylene producer in Indonesia. 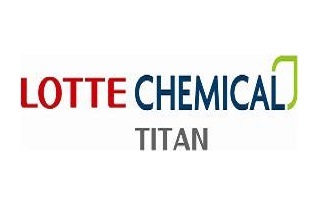 Both the companies will henceforth, collective be referred to as “Lotte Chemical Titan” for ease of reference. LCT trades in polyethylene and polypropylene product where it imports selected grades and sells to the local market to meet local markets needs. LCTN operates a manufacturing plant in Merak, Cilegon a nameplate capacity of 450.000 MT per annum, producing Polyethylene products namely HDPE (High Density Polyethylene) and LLDPE (Linear Low Density Polyethylene). With the strong ties and support from the parent company, Lotte Chemical Titan Group Malaysia and also Lotte Chemical Corp. A listed company forming part conglomerate of Korea, Lotte Chemical has been gradually upgrading in all aspect. Having good knowledge in Polymer process, familiar with PID. Willing to be located in Merak Office. All application will be treated at the highest confidential. The commencing package will commensurate with experience & qualification. Only short-listed applicants will be notified. Thanks for reading PT Lotte Chemical Titan Nusantara Jobs: Production Field Technician. Please share...!